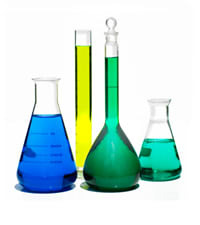 Applications & Industries Served by Industrial Chemical Cleaning Products - Jayne Products, Inc.
We offer expert experienced consultation and manpower for Vapor Phase decontamination (Shutdowns), Fin-Fan Foam Cleaning, Desalters, Exchangers, Pipeline Cleaning, Tank Cleaning, and Odor Control for a variety of industrial chemical cleaning. We also have done many customized applications for removal of struvite from wastewater plants as well as its prevention. Reach out to us today for your free consultation in chemical cleaning. We focus on JPX for Vapor Phase Hydrocarbon decontamination of refinery columns and vessels. JPX-E is also applied using vapor phase to eliminate H2S concerns, along with JPX-EE for pyrophoric conditions. We work with refinery operations to detail chemical volumes, injection points and timing to provide seamless, time and cost saving decontamination package. We are the most cost efficient option for decontamination and industrial chemical cleaning products! Call us to see for yourself. We supply area cleaning soap, Energy Plus for bulk delivery. The product is certified as a Clean Air Choice Cleaner by the AQMD and has been utilized in California refineries for over 18 years. Over the last 5 years have been involved in various forms of applications in wastewater operations regarding struvite and scale build up, please check out our Struvite Removal and Prevention page as well as our dedicated website www.struviteremoval.com.